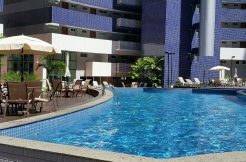 Frequently Asked Questions about buying property in Brazil by foreigners. 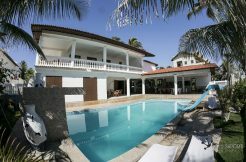 Buying Property in Brazil by foreigners. The acquisition of urban property by foreigners is allowed by the Brazilian legislation. It is irrelevant if the purchaser is a Brazilian or foreign person, if it is an individual or a corporation (legal entity), or if he/it has domicile/headquarters in Brazil or abroad. Rural areas can also be acquired by foreigners, as long as certain restrictions are observed. The acquisition by foreigners of land considered indispensable for national security is forbidden, such as property located near the coast or Brazilian international borders or marine land, unless it has express authorization from the competent authorities. The Brazilian CPF number (Cadastro Pessoas Físicas Individual Taxpayer Registry) is mandatory for individuals residing abroad who own properties and investments in Brazil subject to public registration including: real state; vehicles; vessels; aircrafts; stock shares; banking accounts; financial market investments; capital market investments. * Birth certificate translated into Portuguese by a certified translator and authenticated by the Brazilian consulate in your home country. * Registration Form Ficha Cadastral de Pessoa Física. * In Brazil at the Secretaria da Receita Federal. At first it’s necessary to apply for the CPF filling out the form “Ficha Cadastral de Pessoa Física” at the Post office or Banco do Brasil, and the next day go to the Receita Federal to finish the process and get the CPF number. It’s also possible to hire an attorney for that. In Brazil there are seven types of visas in the law: transit, tourist, temporary, permanent, courtesy, official and diplomatic visa. The visas are granted abroad by the diplomatic missions, consulates, vice-consulates and, when authorized, by the Secretaria de Estado das Relações Exteriores and by honorary consulates. Brazil applies the rule of political reciprocity regarding the granting of tourist visas. In other words, citizens of countries that do demand visas from Brazilian nationals need visas to enter Brazil. Visitors, coming from countries that do not need a visa to enter Brazil, normally will receive permission to stay up to 90 days upon their arriving at a Brazilian airport or another entry point subject to fiscal control. This period can be extended for up to 90 days more, making a total of a maximum of 180 days of stay in a period of twelve months. The request regarding the prolongation of the stay must be made to the department of Policia Federal before the expiration date of the received stay permission upon arriving in Brazil. * a retired person over 50 years old, able to prove having an official monthly pension (social security or similar) in the amount of at least $2,000.00 individually or for a family with a maximum of three persons. * a person married to a Brazilian citizen, or immediate family member of a Brazilian citizen economic or dependent relative. The permanent visa may be extended to other members of the family, especially economic or physical dependent relative, spouses, aged relatives and not married children under 21 years old. The first and most important step is to work with a qualified real estate agent, who has to be registered at the local CRECI (Conselho Regional dos Corretores de Imóveis). This measure will make the purchasing process more secure and avoid undesirable troubles. A qualified broker is obligated to follow the rules and guidelines of CRECI regarding ethics and fulfillment of the purchasing process. Disregarding CRECI guidelines may result in a legal process against the broker. Fortaleza Real Estate CRECI 5653. * IPTU (Urban Property Tax) negative certificate. * All obligations of the seller. The contract must be signed and dated. In case that the seller is married in the community property system, the spouse must also sign the contract. The buyer must authenticate his contract copy at the notary’s office (cartório). After the complete payment of the purchase price comes the drawing up of the deed by the notary and than it’s registering at Real Estate Registry (Cartorio de Registro de Imóveis). * Broker commission and expenses with certificates are normally paid by the seller. For the deed signature by the notary, the purchasers must present an identity document (in the case of foreigners, the passport) and CPF. Married or divorced purchasers have to present the marriage certificate, and a identity document of the spouse as well. IPTU – (Urban Property Tax) is a tax assessed by the municipalities that is due once a year. The rate can vary depending on the municipality; more common is the average rate of approximately 1% of the property’s registered value at the municipal district administration. Money transfers from abroad to Brazil with the purpose purchasing real estate can be realized by individual or legal entities directly related to the purchasing process. These financial transfers are operated in the free and floating exchange rate market and only through entitled banks and financial institutions. It is very important to know that when transferring money to Brazil, with the purpose of acquiring real estate, the beneficiary of the transfer must be always the seller/owner of the property, never third parties. And the money has to be sent directly from the buyer’s bank account. * When the transaction will be dealt with an attorney it’s necessary to present the instrument of power of attorney. As soon as the transfer in foreign currency arrives at the Brazilian bank, the exchange operation contract must be provided, so that the money can be converted into the national currency and be credited to the account of the beneficiary. Brazilian law considers foreign capital financial or material resources, which are transferred to Brazil, by individual or legal entities with domicile/headquarters abroad, as investment or to be used in economic activities in Brazil. Currency investments, to be used as capital in a Brazilian company, must be made by means currency transfer from abroad or through funds legitimately acquired in Brazil. All foreign investments must be registered with the Central Bank of Brazil, what is only possible if the funds were sent from abroad. The registration will make possible: offshore remittances, capital repatriation and registration of profit reinvestment. The registration of foreign capital at the Central Bank of Brazil must be provided within 30 days after receiving the funds in Brazil and closing of the exchange contract. All currency transactions originating abroad (inclusive of entry into the country by airplane or other means of transportation), in values of BRL 10,000.00 or more, must be declared. In currency transfer it is obligatory to identify the origin and destination of the resources, reason of the transfer and the identity of the sender and beneficiary as well.